Being one of the eminent names of the industry, we are involved in manufacturing, exporting and supplying Wood Screw Machine. Proffered assemblage is manufactured in compliance with the predefined industry guidelines. Before the final transmission, we conduct multiple checks on the proffered range. Due to our expertise, we are occupied in offering a high-class series of Plastics Twin Screw Extruder Machine. Prior to dispatch, offered product is inspected against diverse parameters. We are offering a quality range of horizontal screw type machine that are easy to install and use. These horizontal screw type machines are made from the quality raw materials that are sourced from the reliable vendors of the market. Orbital Systems Bombay Pvt. 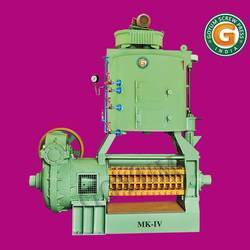 Ltd.
We are highly acknowledged organization engaged in presenting remarkable range of Twin Screw Extruder Machine. 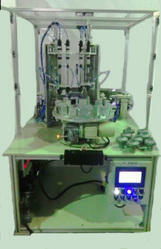 · Single Motor Synchronizes Conveyor, Star wheel and Platform turret and the Speed can be varied by VFD. these are special machines used for screwing automaticaly or semiautomaticaly as per customer requirement .